This app imports store data from Mijoshop to J2Store 3.x. 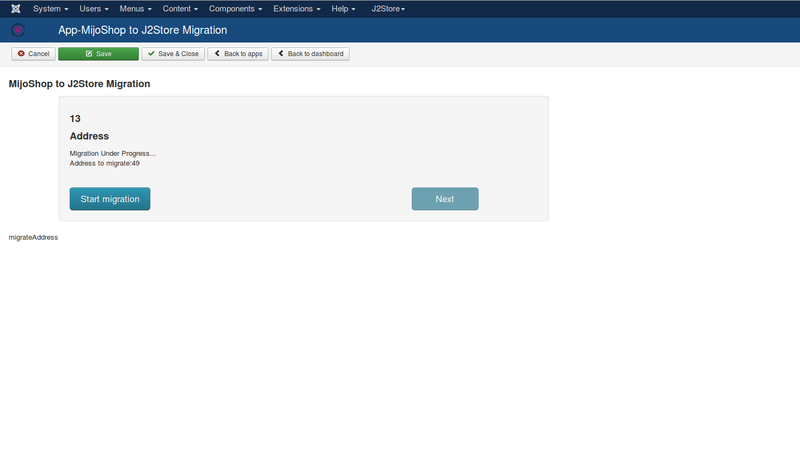 Note: This migration tool / app is in BETA stage and should only be used in TEST sites. It SHOULD NOT BE USED IN LIVE sites. This app is compatible only with J2Store 3.x and Joomla 3.x. 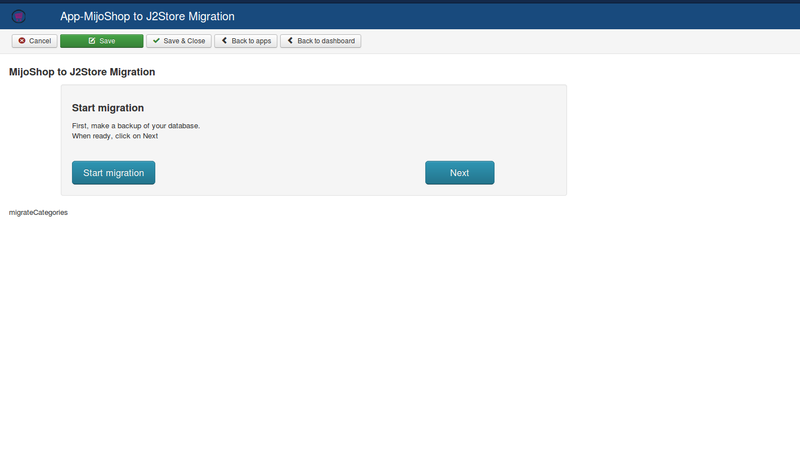 If you run mijoshop in a Joomla 2.5 then you may copy all the mijoshop tables to a Joomla 3 test site, install J2Store 3.x and install this migration app and start the migration process. Click Enable in the MijoShop to J2Store Migration app. NOTE : Before starting migration, please set Error reporting to None in the Global configuration. Select the table prefix from the dropdown list and click on Launch Migration button to start the migration and follow the on screen instructions. NOTE: When migration is under progress, the next button is disabled and please do not refresh the page and wait until the process gets completed. Product option migrated. 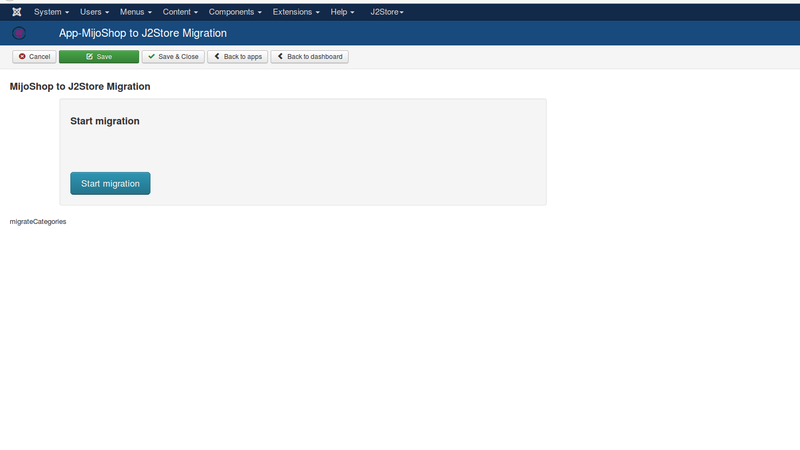 Click next to initiate next migration step.